First, of course, you need to connect! We use Slack. 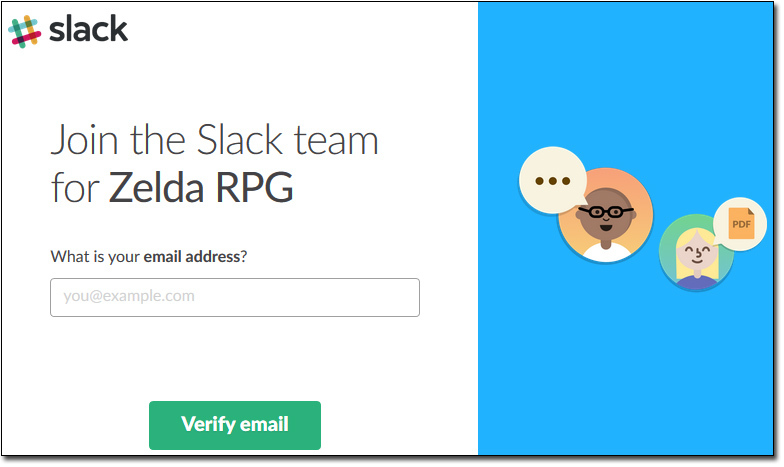 You can either create a character via a browser, the Slack desktop app, or the iOS/Android mobile app. 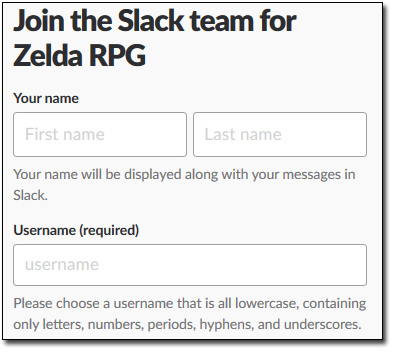 Create your character by going to our Slack group here! 3. Now, it’s time to create your account! Enter your character’s name where it asks for your first and last name. The last name is optional, so just leave it blank if you have not thought of one for your character. For your username, just use your character’s first name. – Do not use Feature Character names (e.g. 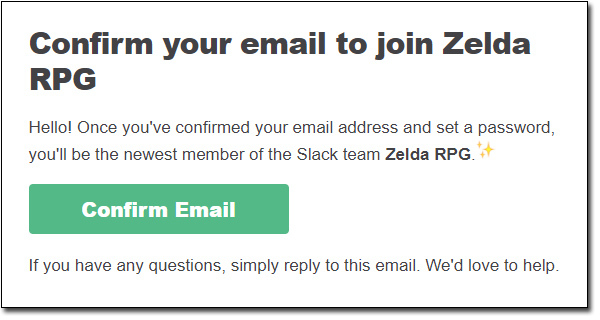 Link, Zelda, Saria) unless you are approved by a moderator. 4. Next, choose a password. 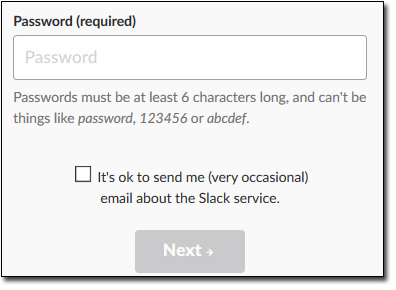 If you prefer not to get occasional emails from the Slack service, just uncheck the box (our group will not email you, but Slack might if you leave the box checked) and click on next. 5. Almost done! Click on “I agree” to agree to the terms of service and your account will be created. 6. 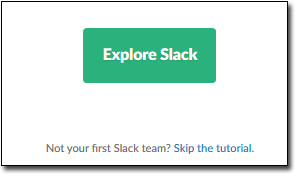 From there, you can either see a tutorial of how Slack works or you can just skip it. Check out the channel list to see which ones you are interested in joining. You will see many public named named after locations from Ocarina of Time and Majora’s Mask. Feel free to click on any of them to find any real-time or asynchronous RP going on, or feel free to start a scene in any of them! If you click on the plus sign next to “Direct Messages”, you can see the list of characters and check out who is online. If you have any questions, please feel free to post in the ooc_general channel or message anybody directly. Everybody is very helpful and will be happy to answer your questions! Please enjoy! We look forward to meeting you and RPing with you!